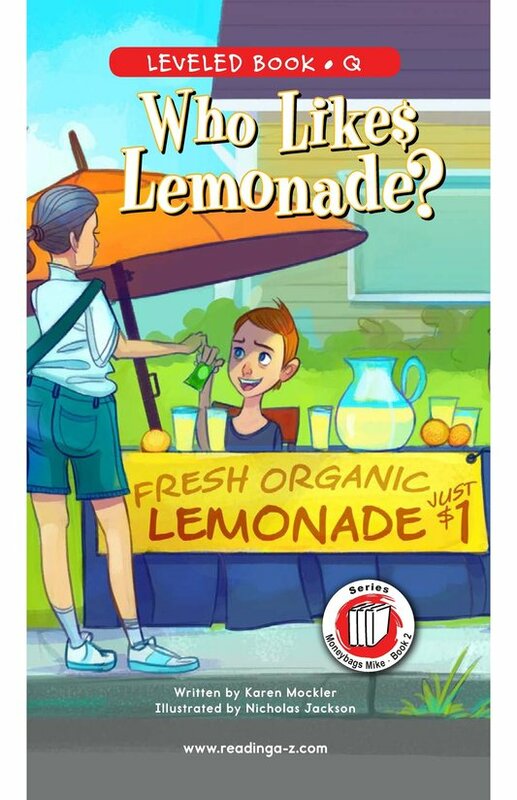 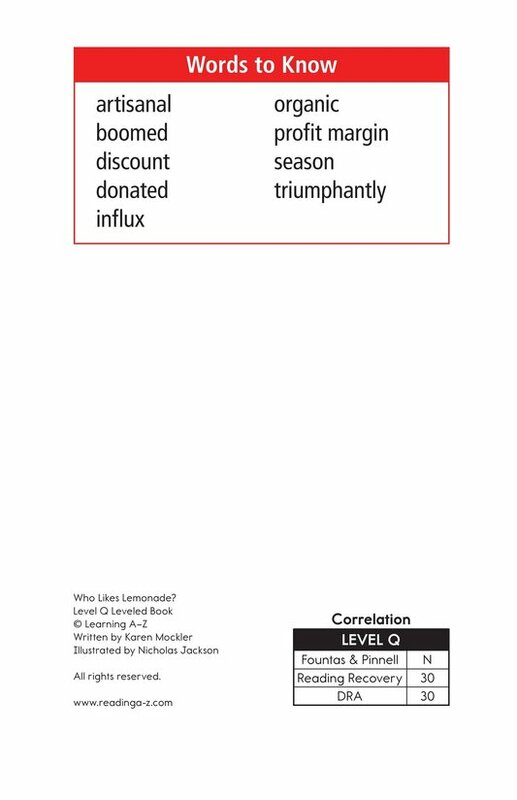 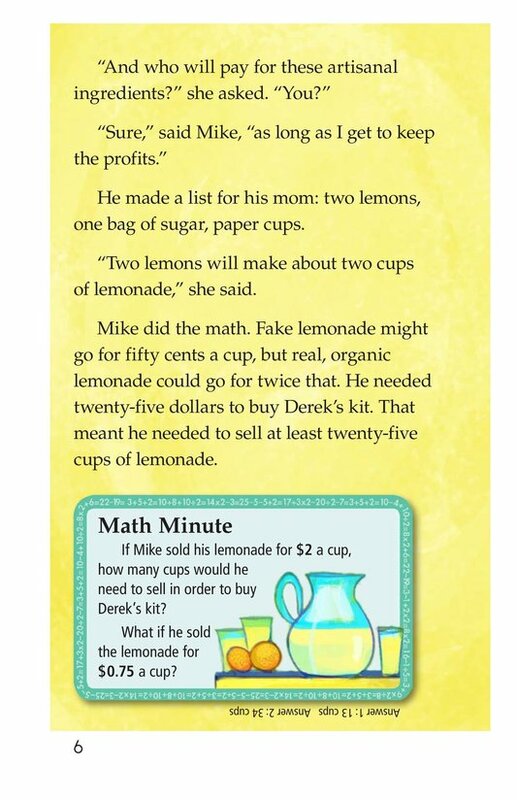 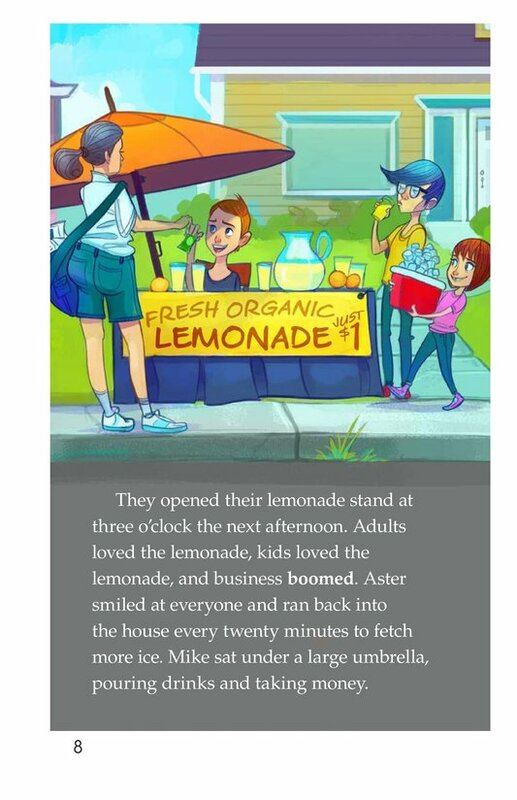 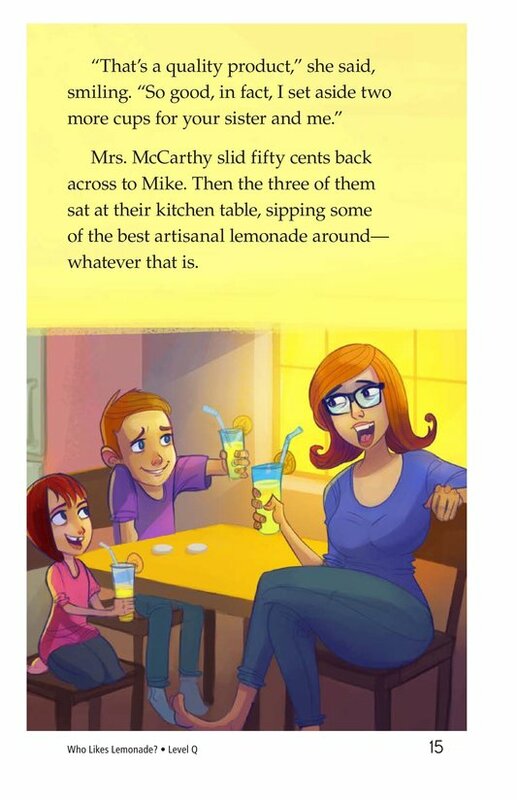 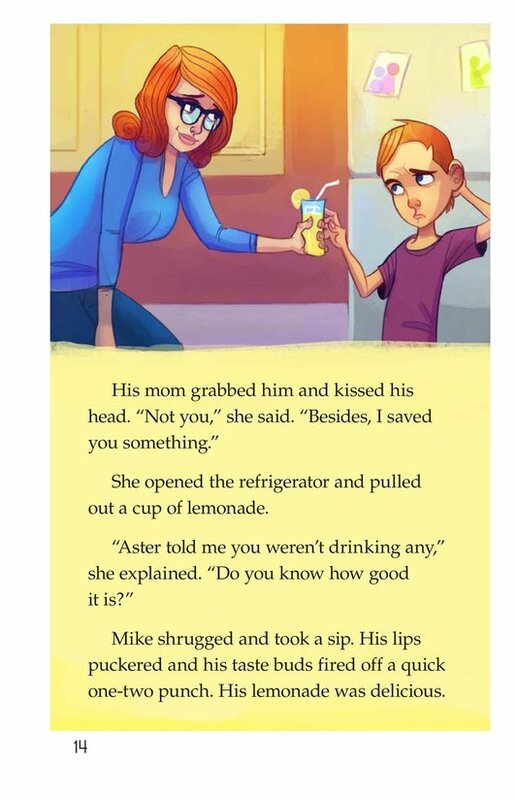 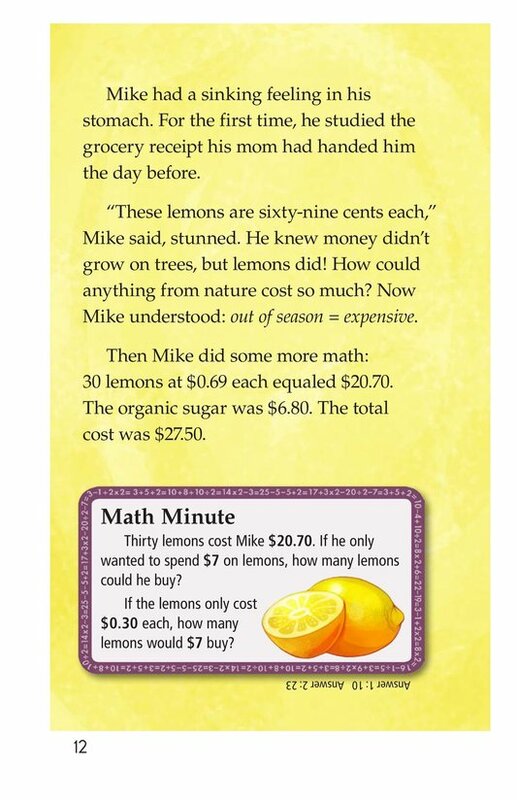 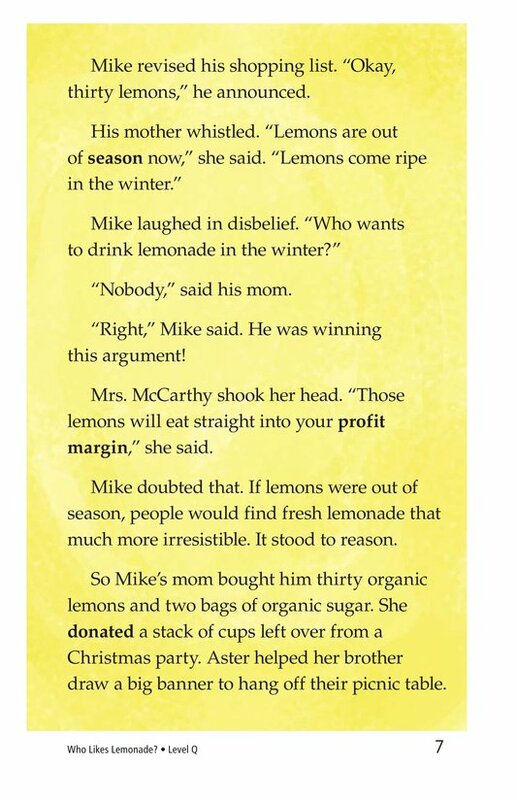 > Leveled Books > Who Likes Lemonade? 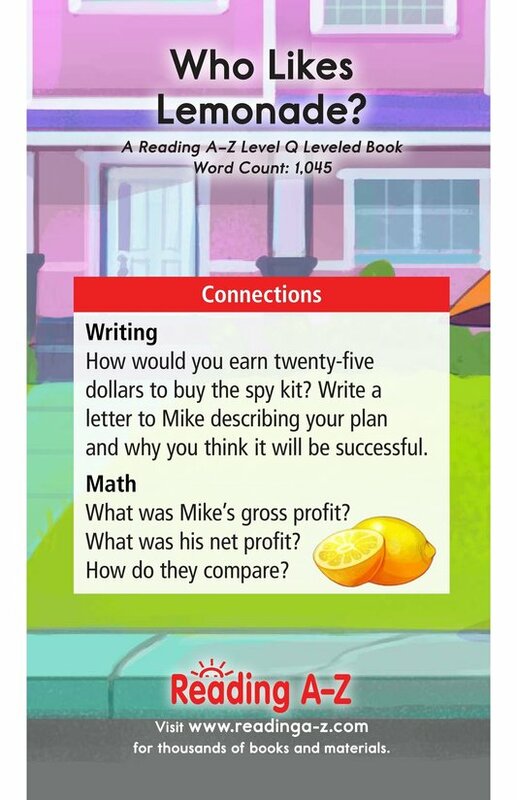 Realistic (fiction) 1,048 words, Level Q (Grade 3), Lexile 580L. 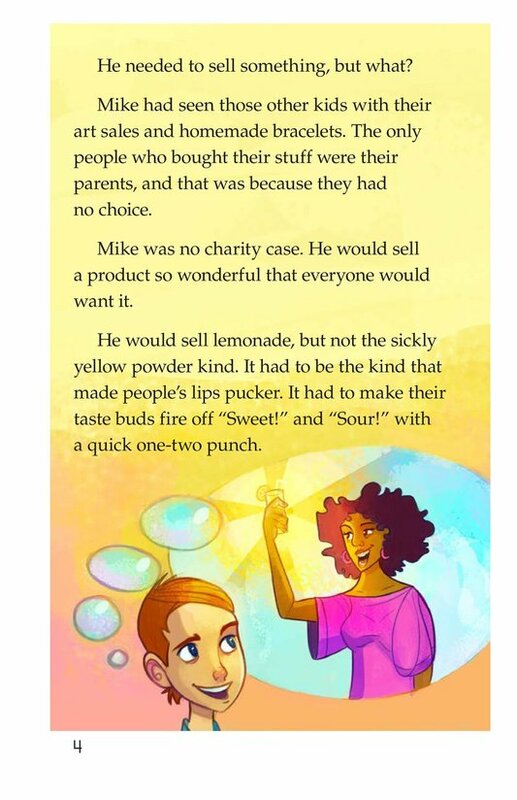 Who Likes Lemonade? 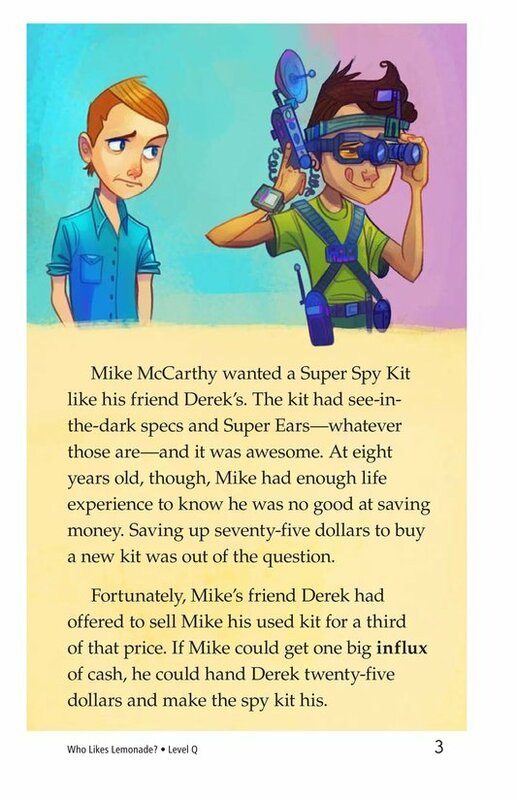 is the second installment of the Moneybags Mike series, and Mike still longs to buy a spy kit. 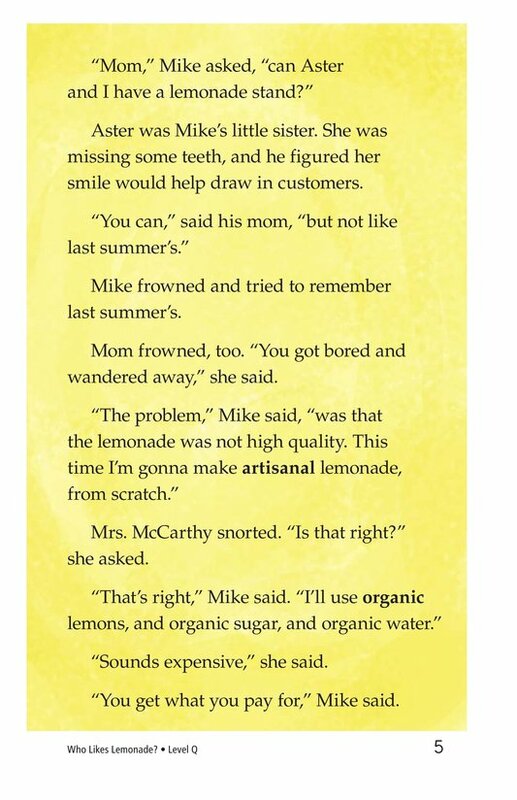 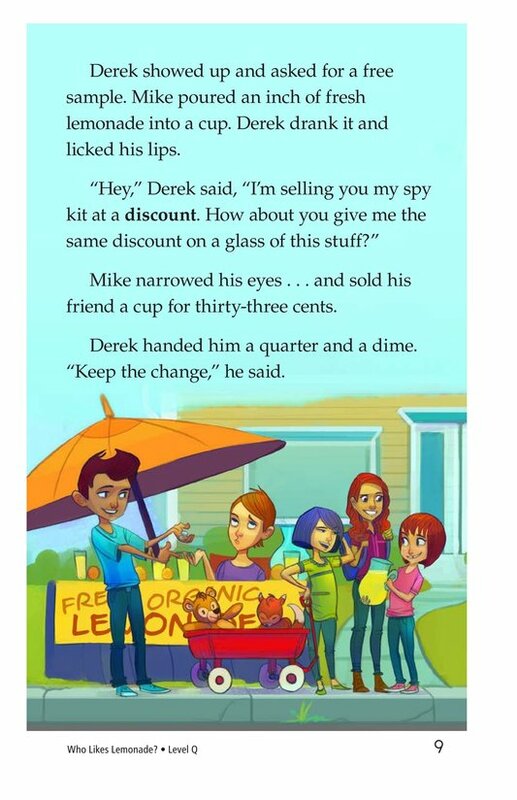 When his friend Derek offers to sell his kit, Mike decides to sell fresh lemonade in order to buy it! 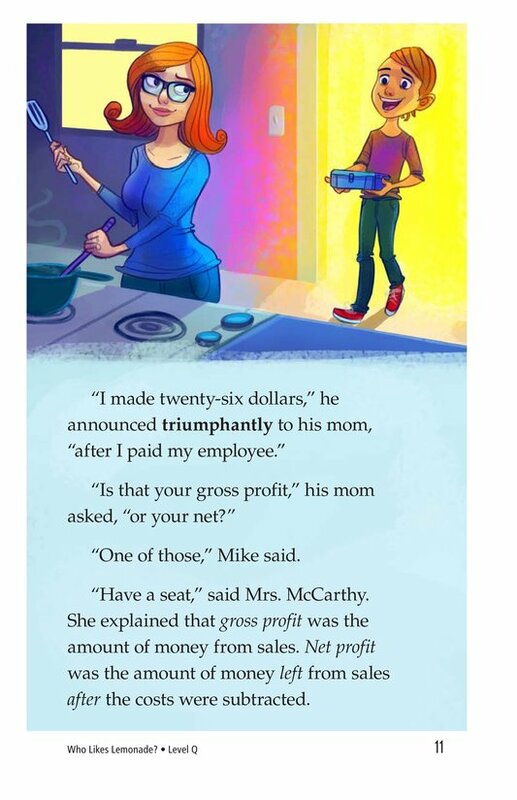 Will he earn enough money, or will the complications of business get in his way? 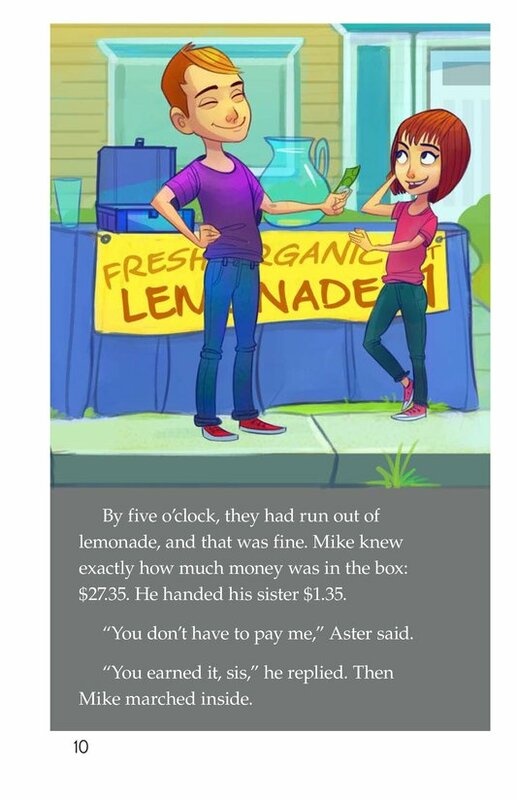 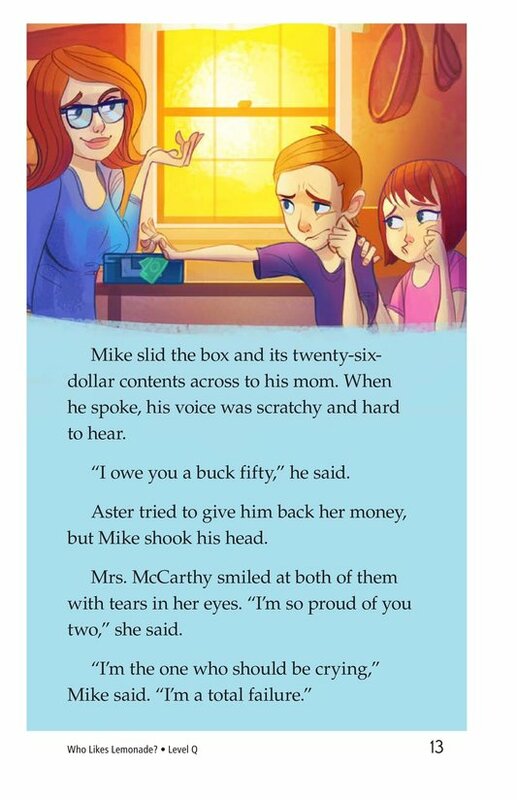 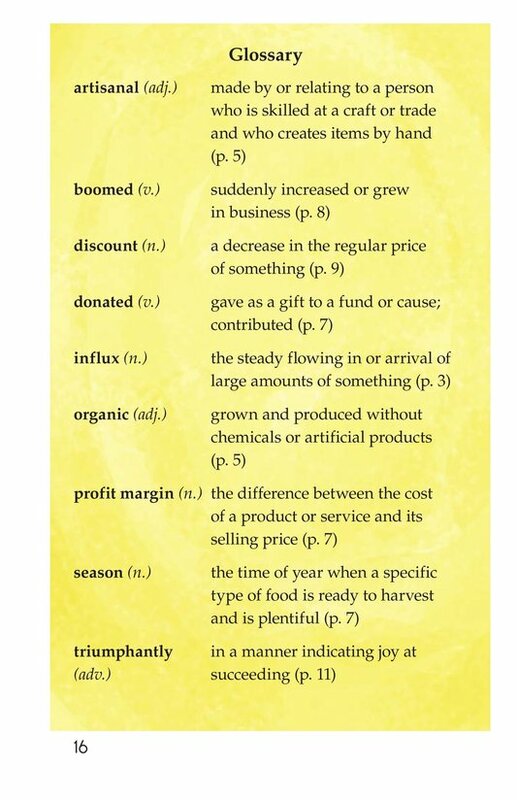 Likeable characters and an engaging storyline will keep readers interested while learning basic concepts about money and profit. 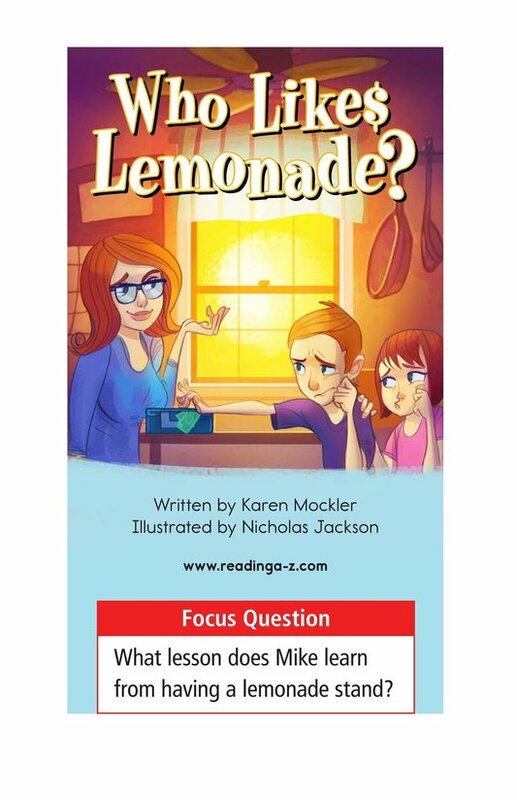 The book can also be used to teach students how to retell the major events to better understand the text as well as how to determine the character's point of view.